﻿Note: This item is available for pre-order, with anticipated delivery in June 2019. Order SuperTank and save 29% on SuperPort 4! Discount applied at checkout when you purchase both together (US only). 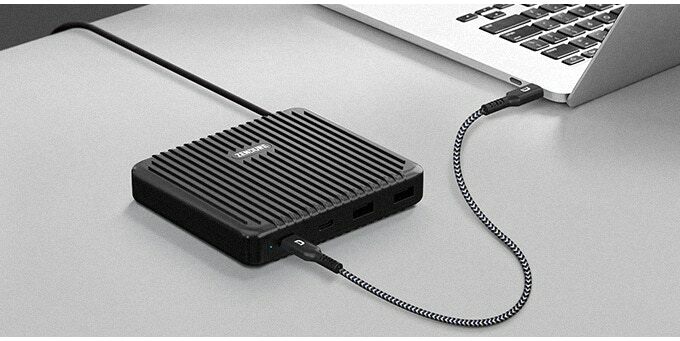 To charge your SuperTank at maximum speed, you need a compatible 100W USB-C charger and a USB-C cable that supports 5A current throughput. 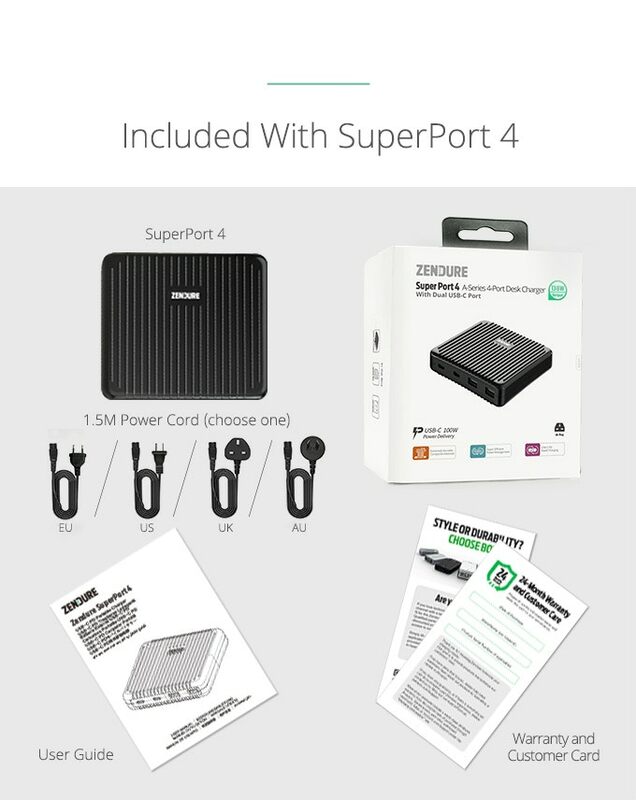 That’s why we are also introducing Zendure SuperPort 4. 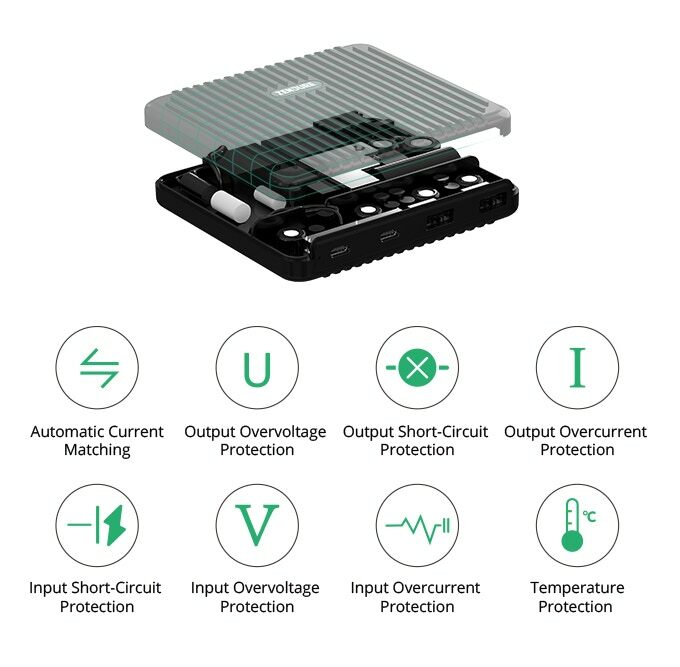 This is the first desktop charger to offer industry leading 100W USB-C charging technology, making it a perfect companion for SuperTank. 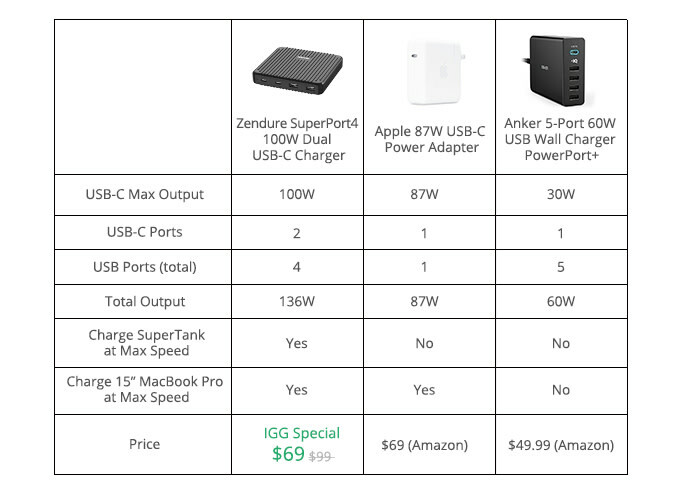 With 100W maximum USB-C Power Delivery, SuperPort can charge SuperTank in just one hour. This also means it can charge the latest USB-C devices at top speed, including MacBook Pro, MacBook, iPad Pro, iPhone XS, Nintendo Switch and more. 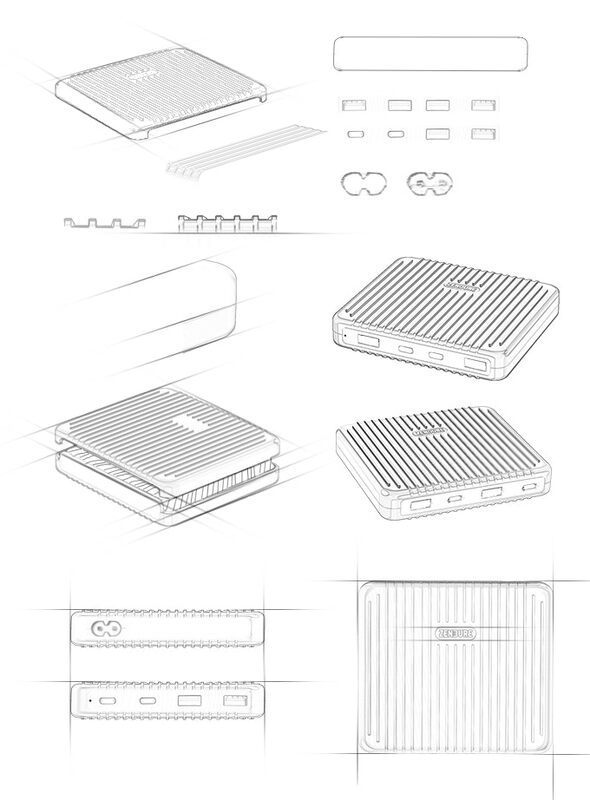 SuperPort 4 features two USB-C ports and two USB ports with Zen+2.0, allowing you to charge up to four devices simultaneously with a maximum combined output of 136W. SuperPort 4 is designed as a companion for SuperTank. The look and feel of SuperPort 4 communicates this relationship. 4.5" x 3.9" x 0.9"
© 2018 Zendure. All Rights Reserved.